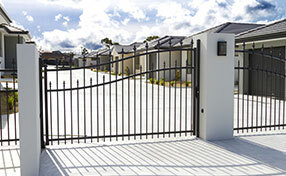 Exceptional gate services for commercial and residential clients. Swing gates are probably one of the most common for many homes and businesses because they have a simple frame and motor system. Valencia swing gates are prone to some common problems that many other types of gate go through while others are specific to the swing gate. The elements that you need to know about what can go wrong specifically with a swing gate are the post and the hinges breaking, the initial adjustment, and making sure the operator and the safety loop sensors are in working order. 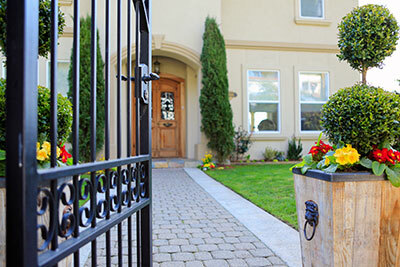 Avoiding any of these can cause several issues with your automatic gate. The post and the hinges are unique to a swing gate because that is the mechanism the swing gate works on. 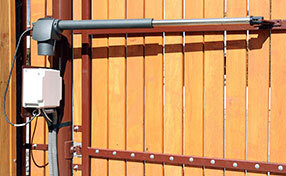 The hinges are really crucial to proper swing gate performance. If anything gets into the hinges or the hinges snap the gate will be immovable. The hinges are harder to repair than just a door because they are often the mechanism that also turns the gate out for getting through. 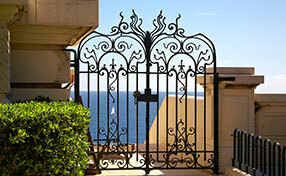 The post of a typical Valencia swing gate is able to withstand the stress and weight of the gate. If you or someone else accidentally hits the gate it may do permanent damage to the post. There is an initial adjustment that needs to be done a few weeks after the gate starts to set into its place. Because the swing mechanism needs to be broken in there are often many errors if there is no readjustment for the new placement of the swing gate. A Valencia swing gate should be adjusted by the same company that installs your gate about two weeks after it has been put in place to be sure it is swinging along the right path. The safety of your property and your vehicle may be at risk if you do not get your gate adjusted. The operator on a swing gate makes sure that the gate is doing what it is supposed to every single time it opens. The safety loop sensors will guarantee that the Valencia swing gate does not run into a vehicle or crush someone. Protection for errors like these is essential. Because the sensors will not tell you they are broken you should get the whole gate checked often to be sure that the whole thing is in synchronization. The person you would call for maintenance can be the same one you use for total swing gate repair if any issues happen.